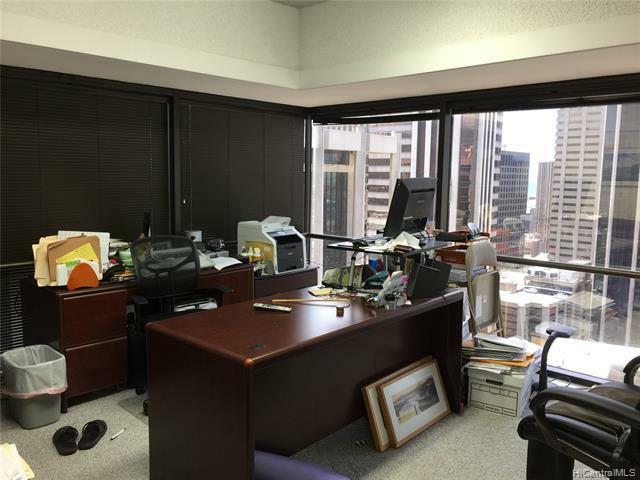 Rarely available corner/end unit on the 22nd floor. 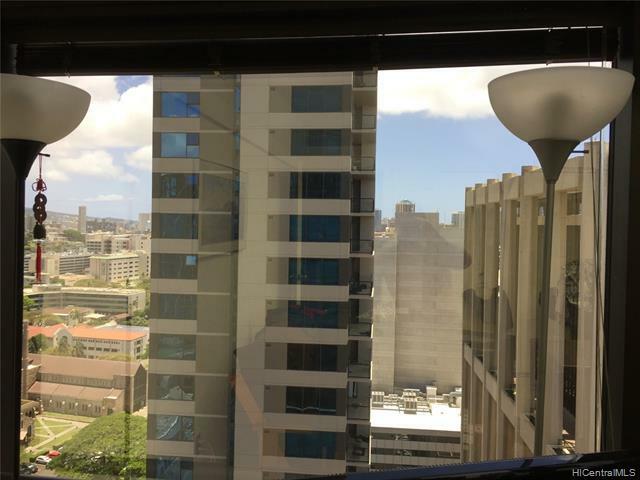 This commercial/office condominium with one unassigned covered parking is situated right in the middle of downtown Honolulu. 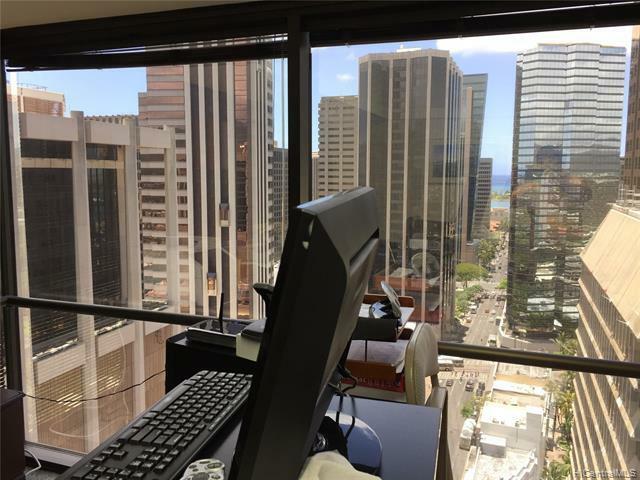 Unit has a full bathroom, wet bar, sink, disposal and small refrigerator. 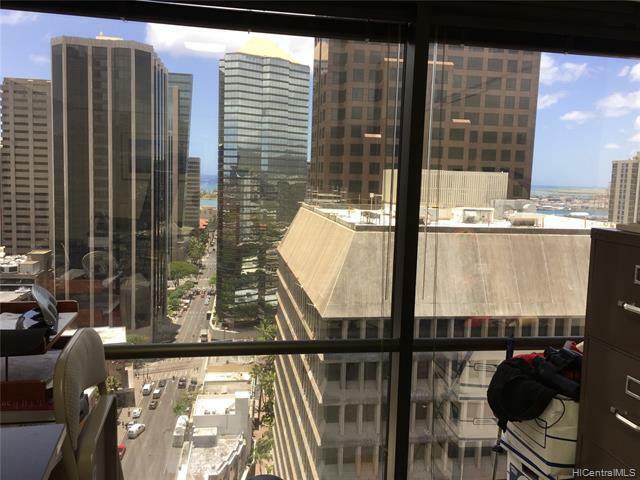 Walk to anywhere you need to go in downtown Honolulu. Loads of validated guest parking.